GENERAL DIRECTIONS: PREHEAT OVEN TO 375 DEGREES. GREASE MUFFIN PAN. COMBINE PACKAGE WITH 2/3 CUP BEER, 1 EGG AND 1/8 CUP OIL. STIR UNTIL BLENDED. FILL GREASED MUFFIN CUPS 1/2 TO 2/3 FULL. BAKE 15-20 MINUTES OR UNTIL TOOTHPICK INSERTED IN MIDDLE COMES OUT CLEAN. 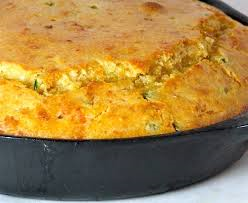 THIS CAN ALSO BE BAKED IN AN 8x8-INCH BAKING PAN. 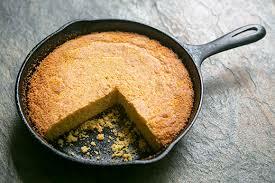 Cornbread or muffins made with 2/3 cup beer. Easy and delicious! 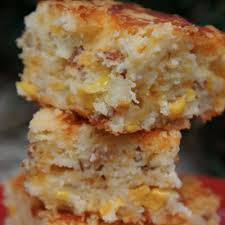 We added some wonderful cheddar cheese and bacon to our regular corn muffin mix and came up with this wonderful little treat that will go great with any of our soups, or any meal you may be cooking. You can bake these as either muffins or as a bread. INGREDIENTS: SELF-RISING ENRICHED FLOUR BLEACHED ((WHEAT FLOUR, LEAVENING (SODIUM ALUMINUM PHOSPHATE, BAKING SODA, CALCIUM SULFATE, MONOCALCIUM PHOSPHATE), SALT, MALTED BARLEY FLOUR, NIACIN, IRON, THIAMIN MONONITRATE, RIBOFLAVIN, FOLIC ACID)), SUGAR, CORN MEAL (((ENRICHED DEGERMED YELLOW MEAL ((NIACIN, IRON (REDUCED), THIAMINE MONONITRATE, RIBOFLAVIN, FOLIC ACID))), CHEDDAR CHEESE POWDER ((WHEY, DEHYDRATED CHEDDAR, ROMANO AND PARMESAN CHEESES (WHEY, MALTODEXTRIN, CHEDDAR AND ROMANO CHEESES (PASTEURIZED CULTURED MILK, ENZYMES, CULTURES, SALT), NATURAL PARMESAN AND ROMANO FLAVORS, PARTIALLY HYDROGENATED SOYBEAN OIL, REDUCED LACTOSE WHEY, SALT, SODIUM PHOSPHATE, MILK, DISODIUM PHOSPHATE, CREAM, CULTURES, ENZYMES, CITRIC ACID, LACTIC ACID, YELLOW #5 AND #6) BUTTERMILK, SALT, NONFAT DRY MILK, DEHYDRATED ONION, LACTIC ACID)), IMITATION BACON FLAVORED CHIPLETS (TEXTURED VEGETABLE PROTEIN (SOY FLOUR, CARAMEL COLOR, RED 3), SOYBEAN OIL, SALT, NATURAL FLAVORING, HYDROLYZED CORN-SOY-WHEAT PROTEIN) AND CHOPPED ONIONS. 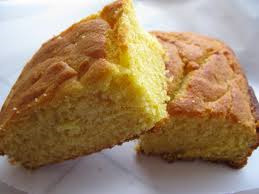 Our delicious corn bread/ muffin mix goes perfect with any of our soups or any meal you might be making. You can either bake this as muffins or as bread. INGREDIENTS: SELF-RISING ENRICHED FLOUR BLEACHED ((WHEAT FLOUR, LEAVENING (SODIUM ALUMINUM PHOSPHATE, BAKING SODA, CALCIUM SULFATE, MONOCALCIUM PHOSPHATE), SALT, MALTED BARLEY FLOUR, NIACIN, IRON, THIAMIN MONONITRATE, RIBOFLAVIN, FOLIC ACID)), SUGAR AND CORN MEAL (((ENRICHED DEGERMED YELLOW MEAL ((NIACIN, IRON (REDUCED), THIAMINE MONONITRATE, RIBOFLAVIN, FOLIC ACID))).